For those of you who don't know, I got married on April 28th, which is part of the reason why I've not posted since the beginning of April. It's been an overwhelmingly busy season but in the best way possible. We embarked on our honeymoon the day after the wedding. Anil had wanted an island honeymoon, but you know me. 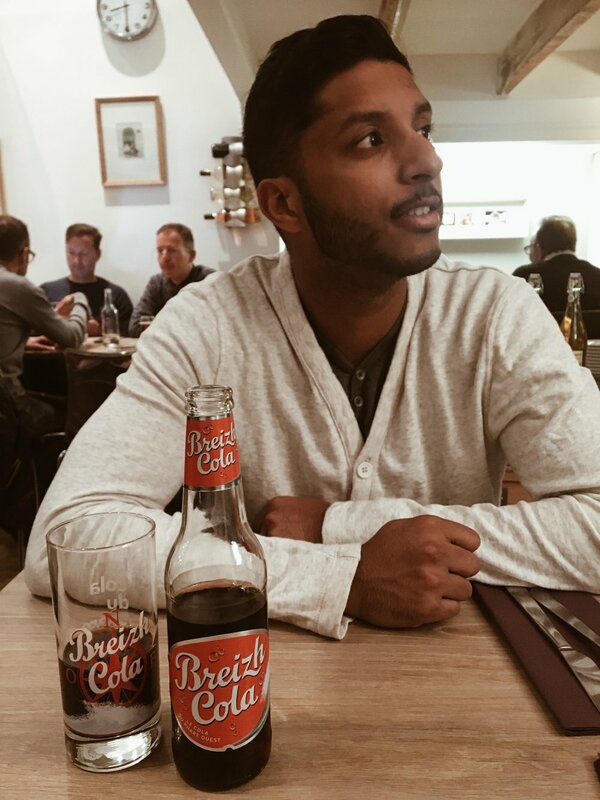 We grew up on a tropical island, so I opted out of the tropical honeymoon and somehow convinced Anil to go along with my Euro-plan. One can never get enough of Europe. We spent a week in the South of France and within that 2 days in London, then a week in Paris and within that 2 days in Germany so Anil could finally meet my German side of the family! I hadn't been to the Côte d'Azur and Monaco since I was 16, so it was like seeing the South of France with a fresh perspective again. It was such a wonderful trip, especially since it was Anil's first time to Europe. Seeing the wonder in his eyes and the awe on his face made for an even better trip. But I mean, it was a honeymoon. Two weeks with my favorite person? It doesn't get much better. Our apartment was only a few minutes walk from the Promenade de Anglais, so we took walks along the coast every day during our time in Nice. 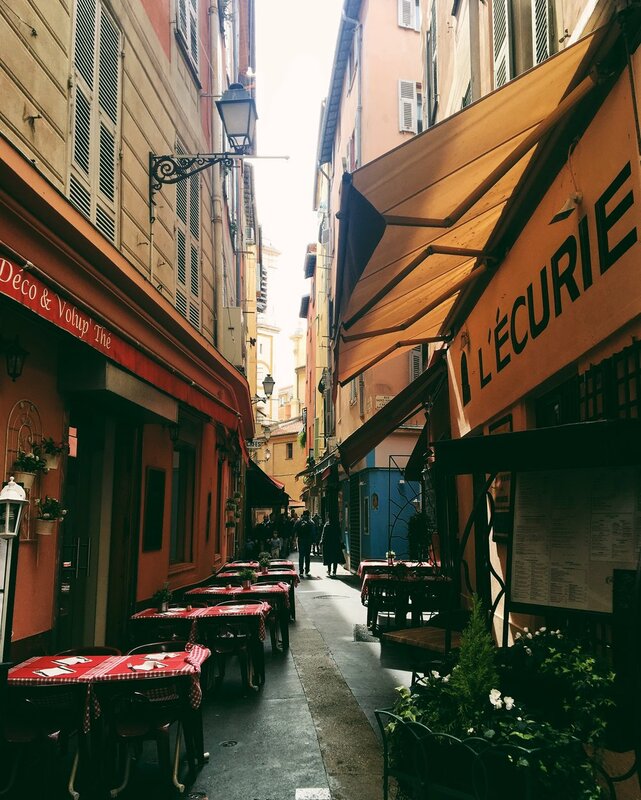 You could spend weeks just ambling down the streets of the cities that comprise the Côte d'Azur-- sampling the French cuisine from the restaurants on either side of nearly every street, indulging in your daily dose of gelato, and people-watching with an espresso or glass of wine, whichever your vice. My one major tip: Be sure to research restaurant and cafe reviews on Trip Advisor first. Don't fall for tourist traps. Don't do it. We stumbled upon the the Marché aux Fleurs in Vieux Nice. It's an open-air market abounding with with flower stalls in every direction, varieties of local produce, and even trinkets for travelers to carry home. I reveled in winding between the stalls and carts, listening to the locals and the vendors conversing in their dreamy language that I wish I understood, and inhaling the scents of the market as vibrant as the colors of the spring flowers surrounding me. Strolling up and down the Promenade des Anglais was a daily and nightly event for us. The street is the perfect combination of calm and bustle that allows for people watching and entertainment without feeling overwhelmed by crowds. Le Negresco is a striking hotel along the promenade and one of the most recognizable points of architecture along the strip. Monaco was just as ritzy and oozing with glamor as I remember it. Here we were standing outside the famed Casino Monte-Carlo. During my first time to Monte Carlo 9 years ago I was only 16, so I wasn't old enough to enter, but now at 25, we made it a point to go inside just to say we did. I'm neither a fan of nor have a penchant for gambling though, so no slots or Black Jack for me. If you enjoy gawking at flashy cars, spend your afternoon just outside the Casino Monte-Carlo. A river of cars like these flow through the circle from morning to night. Fun fact: Casino Monte-Carlo was Ian Fleming's muse for his description of the fictional casino in his novel Casino Royale. It was also featured in two James Bond films, among other films and tv shows. I couldn't not include this. Baguette shoes. The cleverness! The old world architecture juxtaposed to nature of the Mediterranean climate ensure that the Côte d'Azur is an endless fountain of beauty and charm.